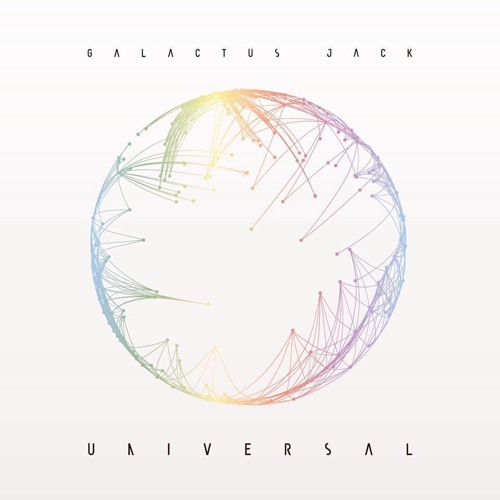 British DJ Galactus Jack has released his new album 'Universal'. "It has been more than three years since I released any new music, and after focussing on other projects over the last two years I'm back with a new sound and a fresh vision", explains Galactus Jack. At LTTM we have been a big fan of Galactus Jack's work and we are glad to see him back. Three years is a long time in the busy music world, so much has changed, yet it's great to have this DJ back doing music the way he does best. Read More British DJ Galactus Jack has released his new album 'Universal'. The music is of course modern, dance inspired, cool and fresh, but what hasn't changed is his energy. Galactus Jack brings so much high tempo music that in the right setting these tunes will sound massive. If he is at a gig, take your friends along and just loose yourself in dancing to these beats. What for me is one of the standout moments of the album, and it might sound silly to even say something like this, is the fact that all these tracks have their own style and feeling. This doesn't always happen with dance music, or any genre for that matter. Some albums can go from track to track without really expressing anything differently to the previous tracks. Some worship albums can fall into this pitfall very easily as well. But this album moves and flows wonderfully, keeping the listener engaged. Musically this album fits perfectly with what is happening in the mainstream. Galactus Jack has made sounds that are enjoyable no matter what your beliefs are. Mr Jack said in the press release that his EP is more Christ-centered, and it really is. It fits in little snippets of God and His power and grace around the big tempo and creative music with ease. A special mention must go to the vocals of Lucy West on the brilliant Heaven, the words and lyrics to Life (which features Jonathan Ogden) and also the amazing song #SQUAD which features Galactus Jack vs Geek Boy. If you are looking for fresh music with high energy then this album is a must. It's a joy to listen to music that stops you in your tracks. Music that is reflective can do that, good catchy melodies can do that, great vocals can do that, big drums can do that, guitar solos can do that and so can big beats that hit you with such energy that they stop you in your track and make you think 'Oh yes'. Universal does all that and more.